"Imagine a book about a forbidden subject at once so matter-of-fact and thorough that it could be the perfect catalog and as sure-footed and moving as a good novel. 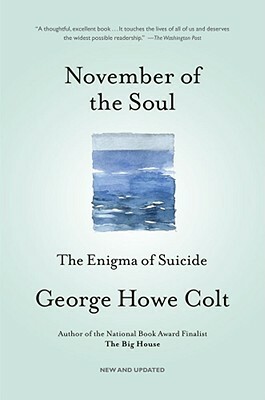 This is what George Howe Colt has given us." "Rigorous, wide-ranging, informed, and humane...Provides much sorely needed wisdom; it will not arrest the crisis, but it could save some lives." "An utterly fascinating, admirably well-written, and sad book...The literature on the subject -- and the survivors -- are greatly enriched by his evocative treatment of it."